As parents, we entrust pharmacies, medical professionals and healthcare facilities to provide our children optimal medical care. New medications, antibiotics, vaccines and other drugs allow us to manage our children’s illnesses or use the medicine as a cure. However, when the medication is prescribed or dosed incorrectly, the results are often dangerous and hazardous to the young child’s health. As attorneys who regularly represent minors injured in personal injury and medical negligence cases, Rosenfeld Injury Lawyers LLC is familiar with the medical-legal issues involving an injury to a minor. If your child was harmed as the result of a medication error made by a pharmacist we can help you get the compensation you are entitled to under Illinois law. Contact our office today for a free case review. Unfortunately, even with innovative technology, advancements in designing better drugs and well-established protocols, drug mistakes still occur. If your child received the wrong drug, or at the wrong dosage, you have the right to take legal action against the pharmacy, clinic, hospital or health care workers that caused the mistake. Prescribing or dispensing the wrong medication or the right medication at the wrong dosage can lead to catastrophic results for a young child. This is because the body mass of children makes it ill equipped to act as an effective safeguard against the high dosage strength of strong medications. A study conducted by the Journal of the American Medical Association (JAMA) indicates that drug prescribing and dispensing mistakes occur in more than one in five medications given to children. While this error rate mimics drug filling and dispensing mistakes for adults, the results of young children taking the wrong medications tends to be significantly more serious. Before your child’s doctor prescribes medication, they must perform any comprehensive evaluation to understand the medical condition of their young patients. This means obtaining a comprehensive medical history and a detailed outline of any dangerous drug interaction or adverse reaction from taking medications or mixing different drugs together. Before prescribing the drug, the doctor has the legal responsibility to advise you of any potential medication risks with information to assist you in making an informed decision about giving your child the drug. When the doctor fails to relay to you any warning issued by the drug manufacturer, they can be held legally responsible for any injury or illness your child acquires by taking the medication. In addition, your child’s doctor can be held legally liable for prescribing the wrong drug or at the wrong dose or mixing it together with other medications, especially if their young patient has a known allergic reaction. These types of mistakes are preventable because network technology and computer software programs are available to alert your doctor of any dangerous medication interaction. Personal injury cases involving medical malpractice can also be filed against any hospital or nurse that dispenses the wrong medication or at the wrong dosage. In addition, the pharmacist can be held legally liable if they read the doctor’s prescription instructions incorrectly, even if the handwriting is illegible. The pharmacist can be found at fault if they fill the prescription at the wrong dosage or with the wrong medication. Every healthcare provider, pharmacist and physician in Illinois is required to abide by the medical standards of care including providing adequate warning of all potential risks of taking any drug. Any failure to provide standards of care can be considered malpractice and subject the individual or organization to a lawsuit or claim for compensation. Any child and family victimized by negligence of a pharmacist or healthcare provider can seek recompense for damages including medical bills, lost wages, pain, anxiety, suffering and grief. However, the legal issues that surround prescription medication medical malpractice cases are complex, and require the skills of an experienced law firm. If your child has suffered or died from an injury caused by a medication error, your family has a legal right to seek compensation from the pharmacy or hospital . 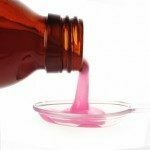 Rosenfeld Injury Lawyers LLC can assist you in proving Illinois pharmacy malpractice that resulted in the injury of your child. Our team of medication error attorneys can review your child’s medical records, evaluate your claim, retain legal and medical experts, and prove liability to ensure you receive the monetary compensation your family and child deserve.